Rounds fired into an Armag Magazine wall were traveling at approximately 2,800 fps. But you don’t have to wait for a battle to know what an Armag magazine can stand up to. Armag’s products have not only been tested in battle, but have been tested by the DoD and ATF, meeting or exceeding their specifications. And now an independent laboratory has certified that Armag’s standard magazines meet the ballistics resistance standard UL 752 Level 5, and with modification , they meet UL 752 Level 8. 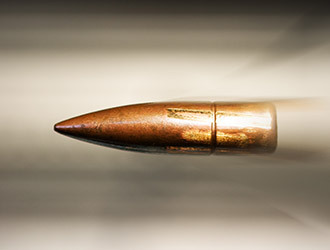 Armag’s magazine earned the UL 752 Level 5 certification by stopping a 7.62mm rifle lead core full metal copper jacket military ball fired at fifteen feet. With the optional modification, it stopped 5 of these same rounds fired at fifteen feet into a four and a half inch square area, which earned it the UL 752 Level 8 certification. Performances like this, in tests and in service, have proven Armag magazines to remain strong, secure and reliable in extreme conditions. 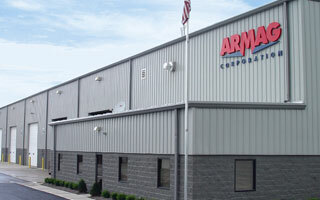 When storing ammunition or explosives in an Armag, you can be confident it will remain secure, even if that means stopping a bullet.